Connect researchers at NU to our online resources and services, including research databases and journals, digital collections (finding aids, master's theses, and historical collections), physical collections, document delivery, tutorials and instruction, and online help services, as well as general information such as hours, fees, news, guidelines for how to give to the libraries, and archives. We needed to make these services easily navigable so users can tell what we have for them, and provide the clearest, simplest route to information. Build goodwill towards the library and a lasting relationship with users. We want to raise awareness of, and funds for, the Library, and to continue to provide value to alumni after they graduate. Also, tell users about the Library and what new and innovative projects make them distinctive: author talks, special collections, and professional expertise. 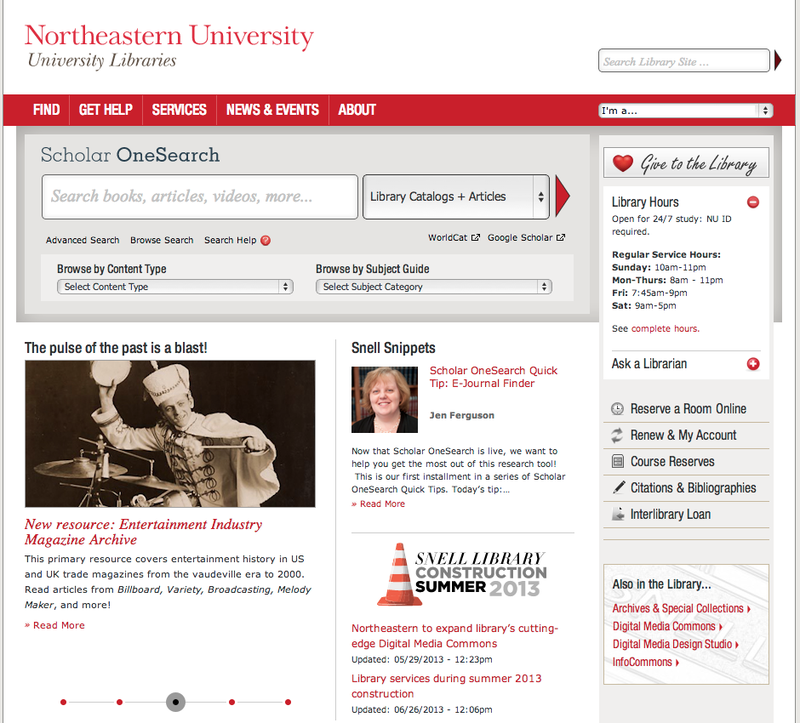 iFactory designed and developed the Northeastern University LIbraries Website. Contact iFactory to learn how we can help your organization expand its web presence and grow its digital footprint.